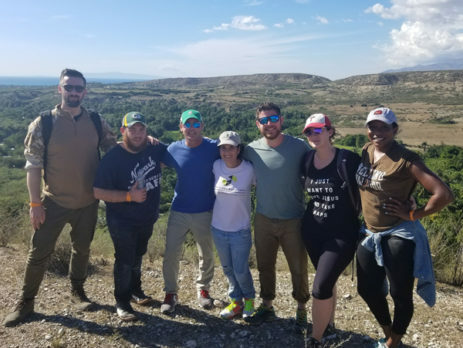 Early this year, Mike Sullivan, President of Schlesinger Group selected seven employees from [their] international team to accompany him on a 4-day service trip to Haiti to support The Joseph School. [Their] team joined representatives from other marketing research companies on the trip organized by The Marketing Research Education Foundation(MREF). The mission of the MREF is to unify, inspire and activate the marketing research community to focus its collective resources to educate children and youth worldwide. MREF is sponsoring the incoming class of first graders (pictured below) at The Joseph School to help provide meals, school supplies and uniforms to the school. 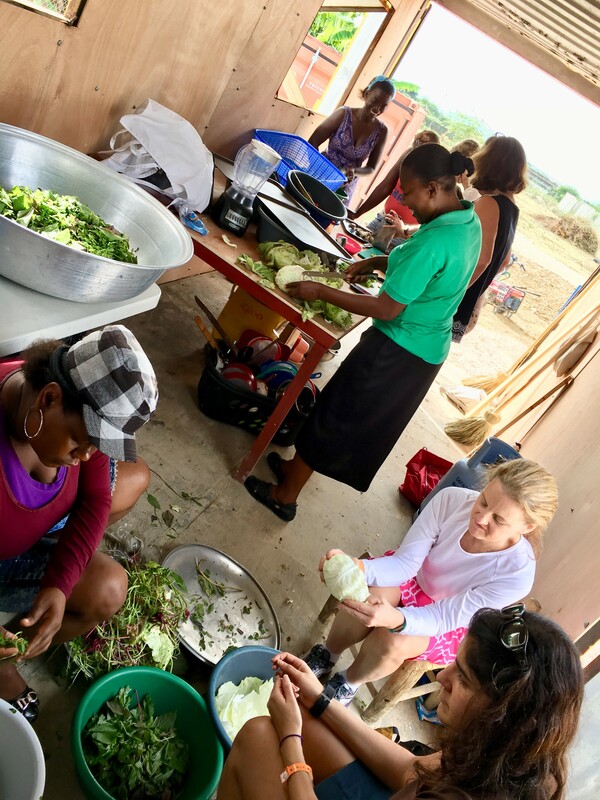 [Their] objective was to learn first-hand about education in Haiti and at The Joseph School and the struggles many students face with malnutrition and poverty. 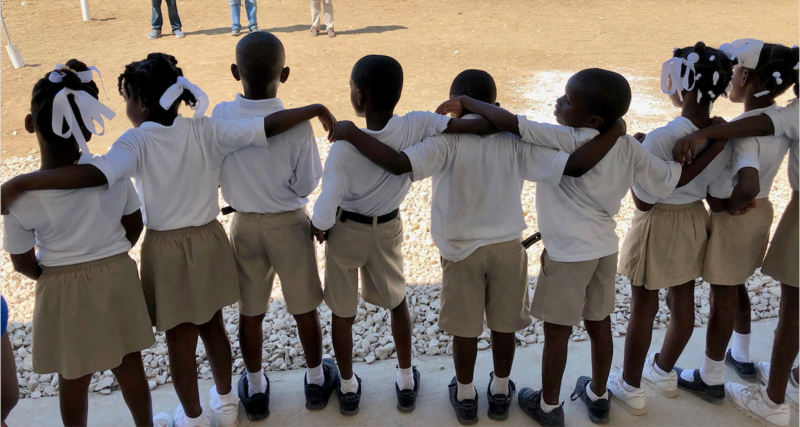 50% of Haitian children do not get the opportunity to attend school, so showing international support is crucial to inspiring students to complete their education. Visiting the school gave [them] a window into the daily routine of the students. 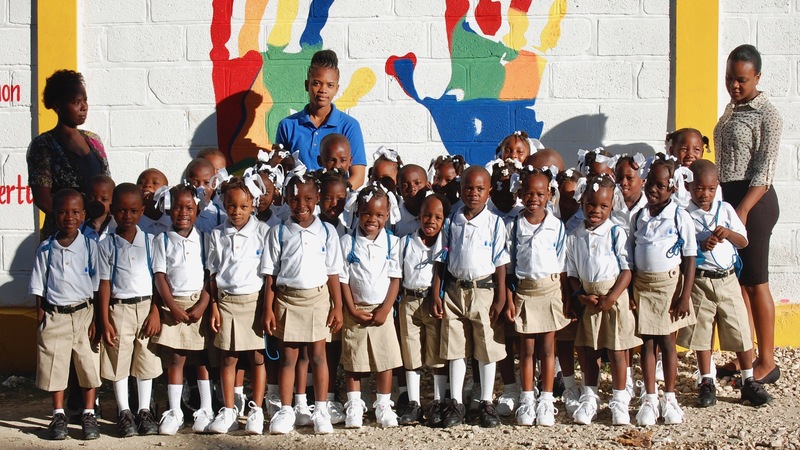 [They] were inspired by the positivity of the children and the empowering messages the teachers convey to their students; “You need Haiti and Haiti needs you.” The school is not a ticket out of Haiti, but rather a foundation for the future of Haiti. It is creating a network of problem solvers equipped to tackle the biggest issues facing this country. The MREF group got hands-on, assisting in laying a foundation for a new home for a school employee. As a team, they achieved in three hours what would have the few local laborers three days to achieve. Schlesinger Group wishes to thank the MREF and, in particular, Jim Bryson, for this opportunity to come together with our industry colleagues for such a worthwhile cause. “As our truck approached the gate of the school property, I realized that I was smiling from ear to ear. On this sunny January morning, our mission team from Immanuel Baptist Church in Nashville was about to visit the students and teachers at The Joseph School at their new permanent location. I had walked this property twice before when it was still undeveloped, so I was eager to finally see what prior mission teams had only been able to imagine. When we exited the truck and saw the smiling children in their pristine uniforms, I was mindful of the years of dreaming and planning and praying that had led up to this moment. As a veteran of four previous mission teams from Immanuel that have served in partnership with The Joseph School over the past five years, I knew the stories well. The glistening white school building is a monument to perseverance. I remember how my senses (and my heart) were bombarded on my first trip to Haiti in 2013. During the first few weeks after I returned home, I often felt tears welling up as I noted the stark contrasts between the harsh living conditions and scarcity of resources I had witnessed in Haiti and the material wealth and abundant resources that surrounded me in Nashville. On my second trip, I still took note of the poverty – in particular, the burdens faced by mothers who must walk to get water, who wash their clothes in a river, who cook meals for their families over an open fire – but I also learned to pay attention to the resources that Haitians possess in abundance – joy, creativity, perseverance, patience, compassion, and love. 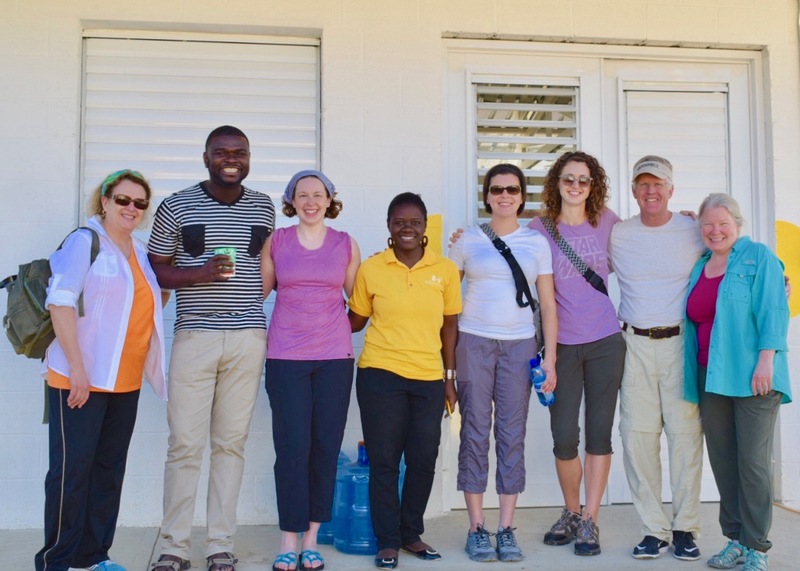 On January 18, Global Healthcare sponsored four IPSOS employees* on a working visit to Cabaret, Haiti. We volunteered alongside Industry Leaders as part of a Market Research Educational Foundation visit. The 2010 earthquake devastated the country’s infrastructure, and there is still so much need. In fact, close to 59% of Haitians live under the national poverty line of $2.41 a day. 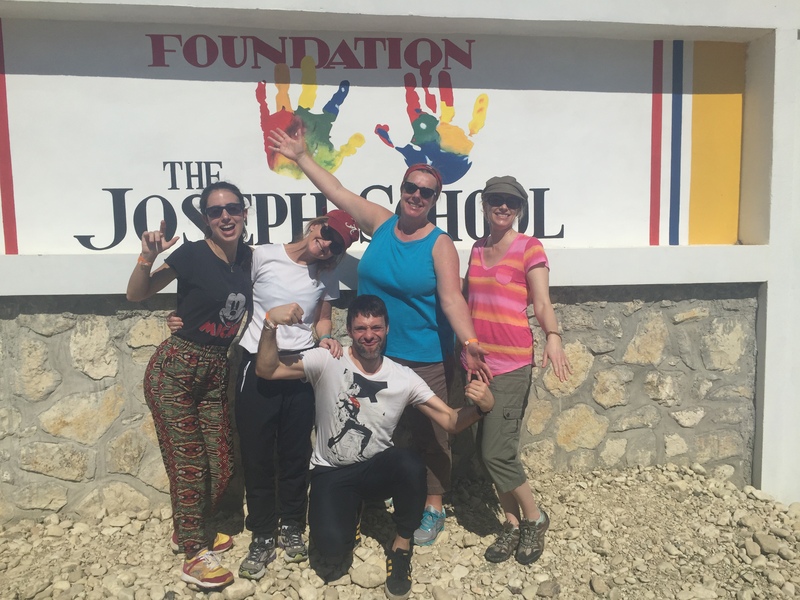 The Joseph School’s (TJS) mission is to educate the future leaders of Haiti, and our Ipsos Volunteers quickly felt inspired by TJS’s message “Believe that You Can”. After just four years, TJS already provides a free education to 90 students every day across six separate classrooms. The school also provides lunch – which may be the only meal many children receive each day. We worked together, helping to lay the foundation for a house for the school custodian; we chopped vegetables alongside volunteer parents, helping prepare Friday’s meal for the Children; we visited the site of a healthcare clinic (currently looking for funding), and visited a homeless shelter, an orphanage, and nearby villages where the Joseph School children live. The IPSOS team of volunteers rallied their local offices and raised close to $5,000 to contribute to the school; the school purchased a cast iron stove, a freezer and a refrigerator for the newly built kitchen facility. Please reach out to our travelers (listed below) if you are interested in learning more about how to help The Joseph School or visit our YouCaring fundraising site at www.youcaring.com/SupportingTheJosephSchoolHaiti. Monies raised will be given directly to the school. We hope to make this an annual visit, and find more ways to collaborate and contribute to the wellbeing of the school children and their families.